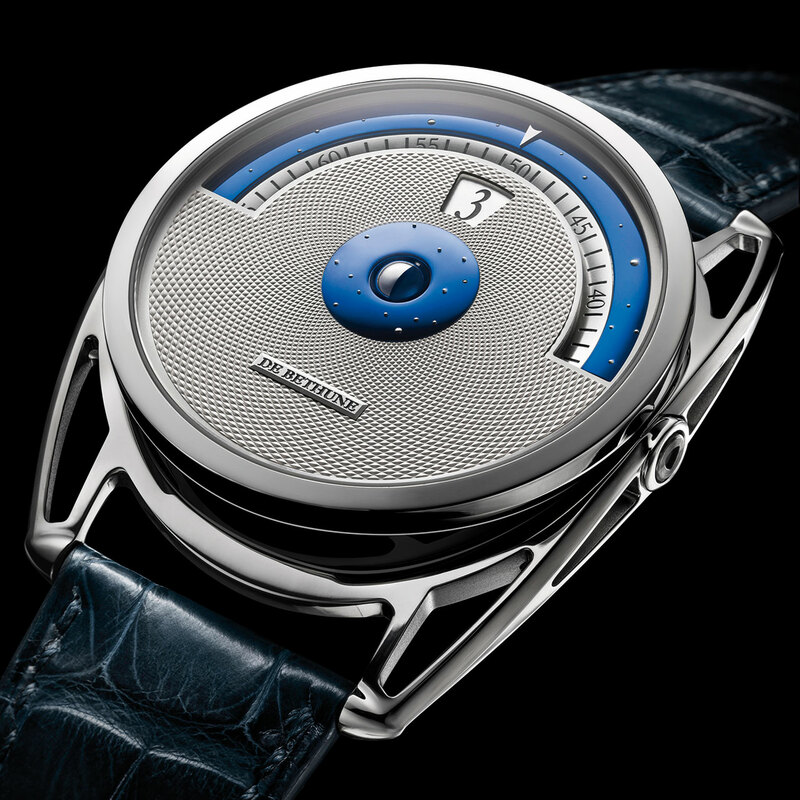 For De Bethune, late eighteenth-century fine watchmaking is an inspiration from which the future can be drawn. The Manufacture delivers its highly contemporary vision of this period's aesthetic in the new DB28 Digitale, whose hand-guilloché dial is the backdrop for three types of display: spherical for moon phases, digital for jumping hours, and analogue for minutes on a rotating disc. Visual balance is achieved by the patented spherical moon in the centre of the dial. Its two polished hemispheres, one in palladium, the other in flame-blued steel, show the moon's phases with a precision of one lunar day every 1,112 years. 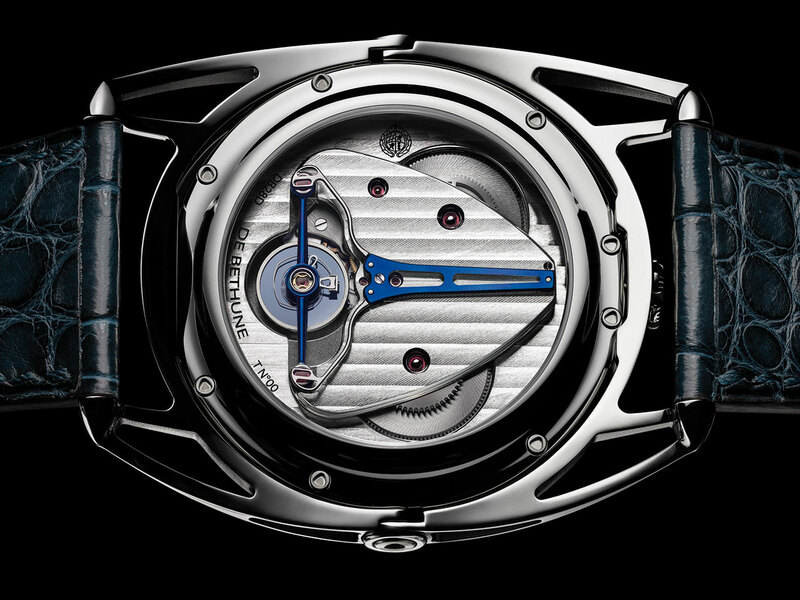 The case, which is crafted from mirror-polished titanium, benefits from a patented system of spring-mounted floating lugs for millimetric adjustment to the wrist and its movements.